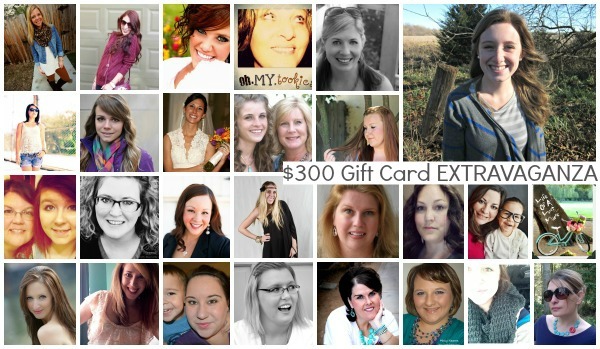 life of a lost muse: It's The $300 Gift Card Extravaganza Giveaway! Who wants to win $300 in gift cards?! I know I do! Too bad I'm one of the sponsors of the event or else I'd enter myself! But you, my dear readers, can enter to win to your hearts' content! Just use the Rafflecopter form below to get started! Nice giveaway! Thanks for hosting the blog hop and I'm your newest follower:) Enjoy the rest of your week! Target's the most practical one so I'd love to win it. I'd also like Etsy- I could find a fun treat.